Germinal is the Brussels Labour newsletter and blog. Our newsletter is published regularly and carries summaries of branch meetings, branch information, news about upcoming events, and other features. Contributions and ideas for articles are welcome. 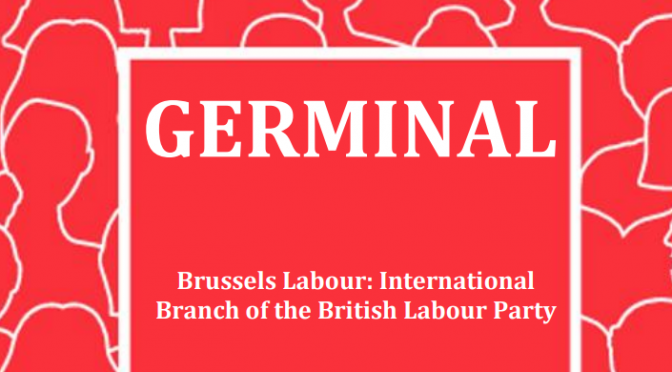 If you wish to write an article for Germinal, or provide a piece on a branch meeting, please let the editor know by emailing germinal@brusselslabour.eu. The February 2019 edition of Germinal is available to download here.